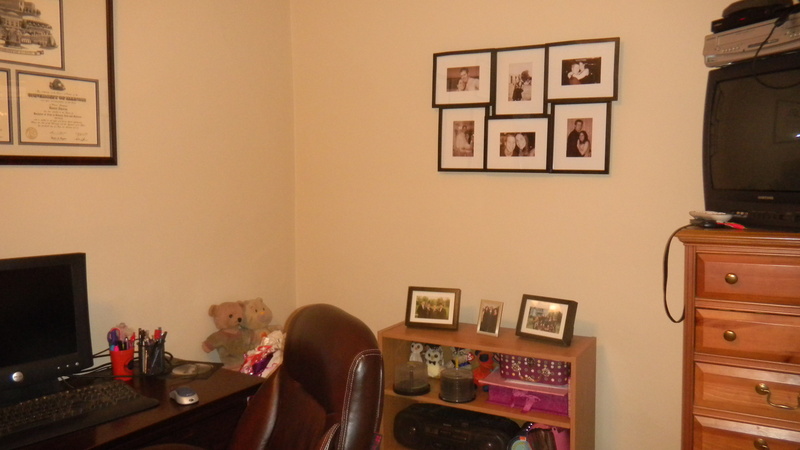 When we moved in to our apartment last year, the room we planned to use an office had been a nursery for the people who had lived there before us. How did they make it a nursery? 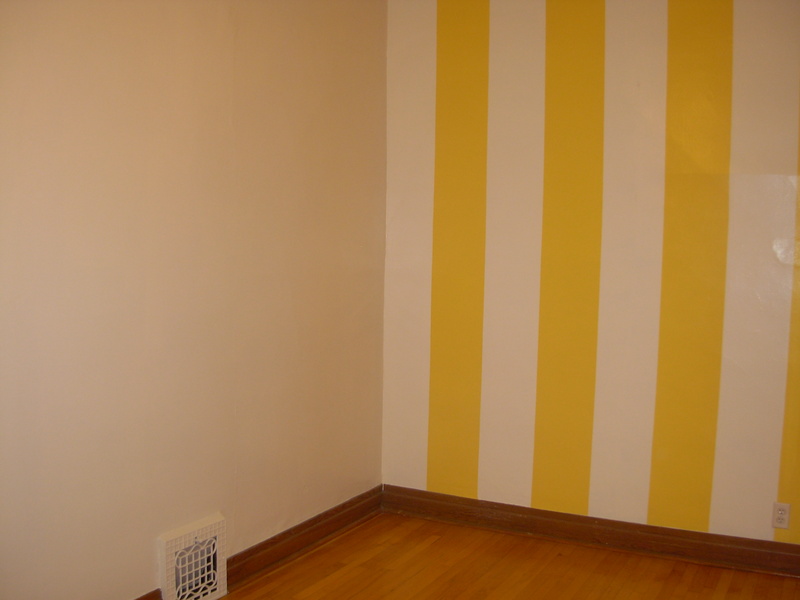 Well, they painted these large, unattractive yellow stripes on the far wall for one. 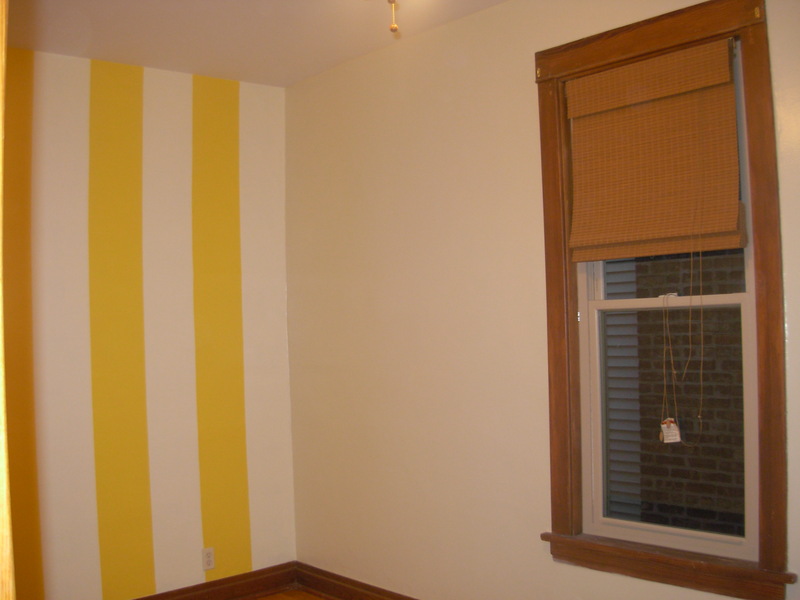 Needless to say, the room with the yellow stripes, or “Braydon’s room,” as we called it, hardly ever got used. It didn’t feel like us, and we sure didn’t enjoy spending time in there. 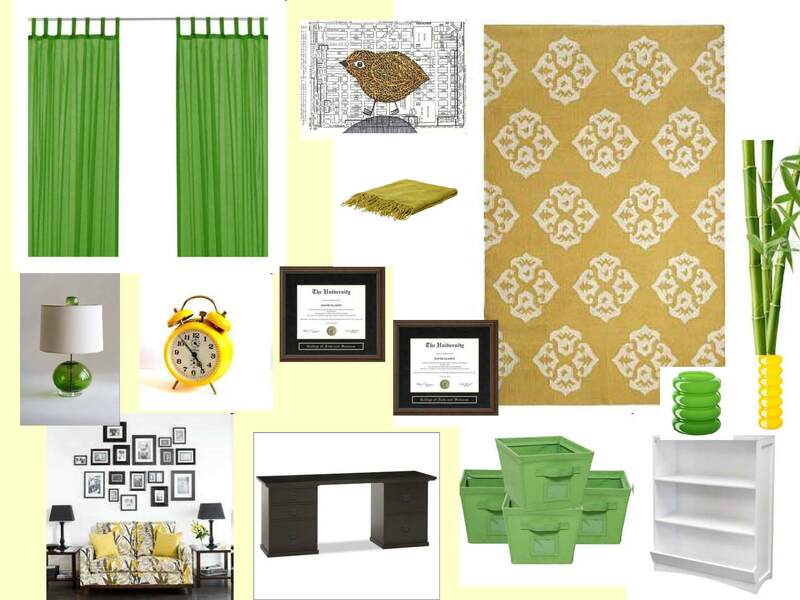 Back long ago when Dan and I began our apartment hunt together, having a spare room was super important on my list. It is a place to do work away from the temptations of the TV in the living room. It can double as a guest bedroom when any of our out-of-town guests come for a visit. It allowed space for me to work out to my exercise DVDs. It provides an extra closet, because let’s be honest, I was not going to have a healthy marriage if I was forced to share my closet with the hubby. But how useful is an office if it’s full of junk? 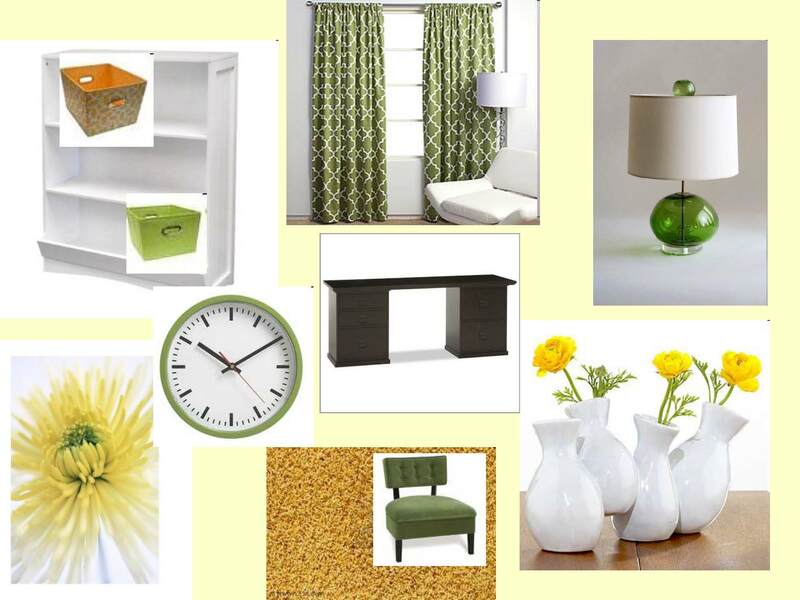 When we decided to extend our lease, I knew the office needed major work to be able to use as a living space. Operation office make-over, here we go! Our landlord didn’t want to paint over the truly ugly stripes (don’t get me started), so we were left to our own devices. 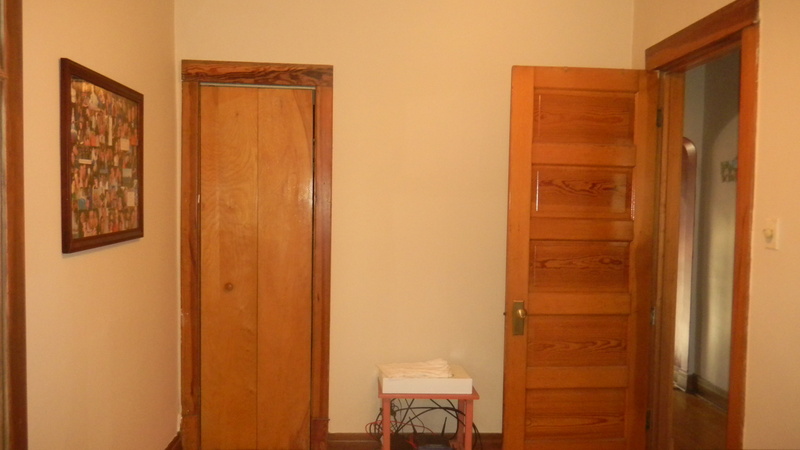 As a quick fix, we painted the entire room a flat, baked scone color with paint that we already had. I emphasize that we used flat paint because the paint was previously semi-gloss in there. Hello hospital walls! Here’s an after photo of the room once we said goodbye to those stripes. 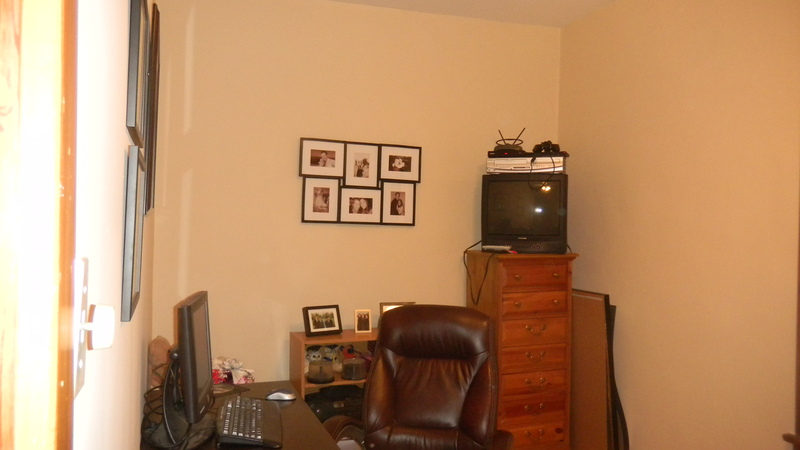 After that mini-makeover of just a paint job, all the junk went back into the room, and the room was unused once more. Perhaps the spring cleaning bug bit me because I am making over this room in full force. 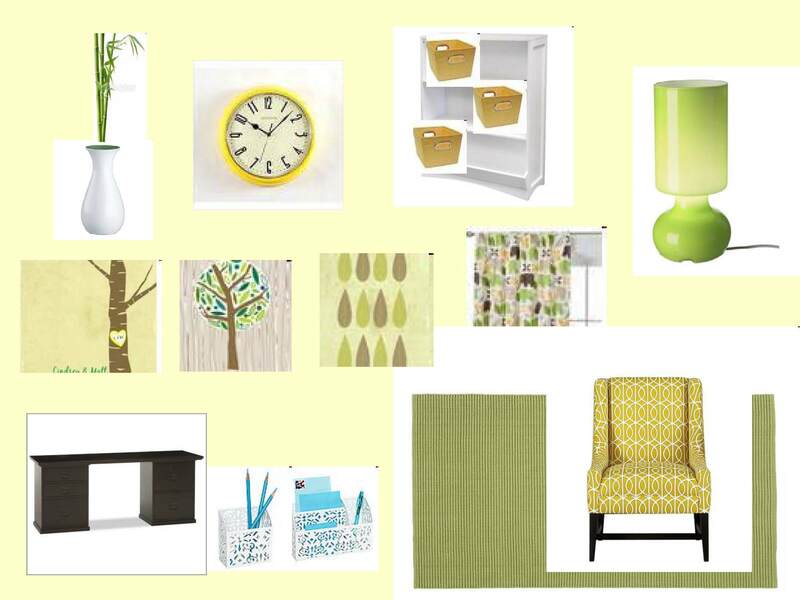 I decided to create some mood boards for the room, to get a feel for how different colors would play off each other. 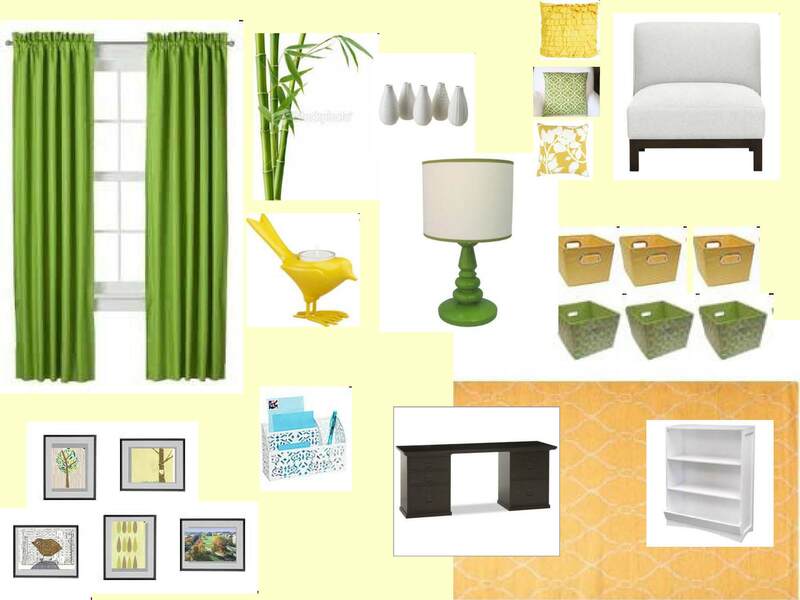 We decided not to paint again, so we’d infuse color through our decor. We had already bought a Pottery Barn Bedford desk off of craigslist months ago, and it is staying. We also have a cheap bookshelf that got me through law school, a fancy desk chair from Dan’s earlier apartment, and a high boy dresser from my old bedroom set. We decided to go with the last option. Unfortunately, that’s about as far as we’ve gotten at this point. I’ll provide updates as the room comes along. Stay tuned!